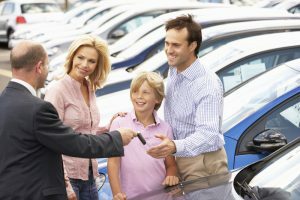 Are customers still seeing value in the traditional handshake and meet-and-greet as they enter a showroom, when the first thing they really want to come in contact with is the dealer’s Wi-Fi code. That initial icebreaker delivered by the salesperson used to be the foundation of a good purchasing experience. However, as customers’ exposure to information increased over the years and their immunity to selling tricks became stronger, their customer experience needs and expectations have shifted dramatically. The only way to create trust with a modern customer is to become transparent, offer in-depth information and master all channels of communication. Thus, we no longer get salespeople in dealerships but advisors; experts whose main role is to guide customers through their purchasing process in the best manner possible. The fact is, dealers who embrace the accessibility of real-time information end up with satisfied, well-informed customers and lose fewer shoppers to competitors. Instant gratification and immediacy to accurate information is essential for trust building and proving one’s credibility. Sale advisors will often turn to mobile technology themselves for validation of their existing knowledge. With higher turnover levels, younger employee demographics or recruits that have no strong background in sales or cars for that matter, the access to information through mobile devices proves highly beneficial. Novice dealers perform better; communicate more effectively and confidently with their customers as a result of having on hand information. Furthermore, as customers lean towards facts not opinions when having their questions answered, being able to point them to the right information on the spot is a really great selling point. But that’s simply not enough anymore for modern customers that want to shop and feel like they’re in control. Shoppers want to remain anonymous with not only their contact details but also their purchasing preferences. Many visitors will consciously browse through the showroom expecting to learn as much using their own mobile devices, as they would with a dealer, right up until they are ready to buy. For that reason alone, it is paramount to ensure that all the information that the customer might want to access is beyond easy to get a hold of. The secret to keeping your customers on your side of the forecourt rather than your competitors is to create a no-hassle shopping environment and embrace the use of mobile devices in both physical and online spaces. One of the fastest ways of providing customers with seamless access to information whilst on the forecourt is to introduce the use of QR codes. They are both highly cost-effective and easy to implement. Given the right QR code service provider, those tiny puzzle looking stickers can eliminate entirely the search and navigation process that the customer would normally have to go through when landing on the dealer’s website. To give you an example in practice, imagine that every car on your forecourt has a unique QR code displayed on its windscreen. The customer or the sales advisor can scan the code using a compatible smartphone camera or a QR code reader app. A set of buttons that link to information such as the car’s full specification or the AA report opens up. There is also a finance calculator, a direct test drive booking form and a button that allows customers to call over a sales advisor with a set of car keys at any given point. The extra convenience blend of information and instant service makes it easier and more appealing for customers to stay on their path to purchase. Above that, QR codes provide a 24/7 access to real-time information that helps to increase customer engagement outside of the showroom’s openings hours. They are also an excellent means of pre-qualifying potential buyers and capturing customer’s forecourt activity. Access to information hasn’t been associated with luxury for some time now. Transparency is necessary and good for businesses to embrace. Previous PostShould dealerships give up on brick-and-mortar showrooms?